The Town of Stockbridge, MA is now seeing “Green” instead of trash at the closed Stockbridge Landfill. 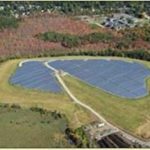 Last year the Town partnered with Framingham-based Ameresco to construct and operate a 668 kW AC solar photovoltaic array on the capped landfill. 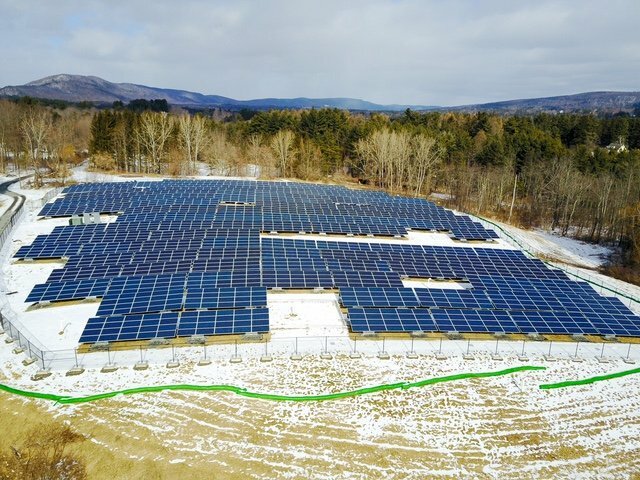 Due to changing solar incentives in Massachusetts, the Town of Stockbridge and Ameresco worked diligently to construct the solar array in November-December 2016 despite the numerous snowstorms blanketing the Berkshires. 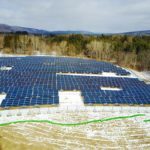 The solar array achieved mechanical completion on schedule, and is expected to go into commercial operation within the next 12-18 months once National Grid completes its interconnection construction work. The Town of Stockbridge also partnered with Verizon to install and operate a cell tower on the landfill parcel. The cell tower project is currently under construction and is expected to be operational later this spring. Beacon commends the Town for its diligent efforts to facilitate two complex construction projects at the same time while ensuring the integrity and preservation of the landfill cap and surrounding areas. 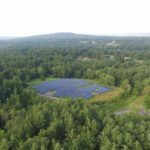 According to Beacon’s Managing Director, Beth Greenblatt, “the key ingredients for success of both projects were the committed support and sage guidance from Selectman Steve Shatz, and the professional oversight and management from Facilities Manager Chris Marsden”. Beacon is proud to have supported the Town of Stockbridge in its pursuit to develop and implement environmentally-sustainable solutions and by leveraging underutilized public property for the public good.